In Kingdom County, Vermont in 1956, Austin arrives on the train. His grandfather, also named Austin, picks him up in an old truck. It is never made quite clear why young Austin is there, but his grandfather doesn't seem very nice, at first. He describes himself as the meanest (bleep) in Kingdom County. The word is actually used one time but bleeped the rest of the time the expression is used, with the character's mouth blurred. Austin Sr. can actually be quite loving. Austin's grandmother Abiah is there when they arrive at the house, and she seems nicer. But there are times when she will be the meaner of the two. The house has a phone but no electricity, and Abiah will not have it in her house even though she always having to deal with flies and electricity would make that easier. Austin Sr. is quite conservative as well, so one would think he's the one who doesn't want electricity. But he has a sawmill to run, in addition to his many farm-related duties, so if the power company wants to run a line there, he is all for it regardless of what his wife thinks. He has maple trees for sap, and Gram has an apple orchard. There are also cows and chickens. There's lots of work, and young Austin is expected to do chores even though he doesn't like them. Austin Sr. also expects Austin to go hunting with him, but again Austin doesn't like the idea. Now why did I say Abiah has an apple orchard? The two are living together but that's about it. They have been in the same house for 50 years and had three children (one wonders how), but young Austin figures out if he wasn't there neither one would say a word to the other. It turns out Austin Sr. was married (not legally, but they considered themselves married) to an Inuit nicknamed Mira because that was short for the English translation of her name. Austin Sr. never got over her death and settled for Abiah. Abiah is obsessed with Egypt, calling Austin "Tut" because he looks like the boy king, and the daughters Nefertiti and Cleopatra have careers Austin Sr. doesn't approve of (but the rest of the world would consider them a success). Austin Sr. doesn't approve of education because he thinks it will take away from work. He doesn't approve of his son's career as a teacher. Austin's father comes up for visits occasionally, but young Austin stays for a long time and even goes to school, because despite Austin Sr.'s attitude, children have to go to school. There, Austin meets Theresa, whose family is poor, though Theresa seems happy. Austin Sr. doesn't seem to approve of helping the poor, blames the Dubois family for being poor because they're French, and does not see anything good about Adlai Stevenson. Still, he's not as mean as he seems. There's also the bully Hettie. Later, the grandparents enter the maple festival's syrup contest, competing against each other. Austin learns a lot about life and family, and responsibility. There are occasional laughs and some tragedy. This is a family film, if not one appropriate for younger children. It could have easily been a Hallmark Hall of Fame production, because it reminds me a lot of those films. I don't recall any bad language except for that one word that keeps getting repeated and bleeped. There is some minor violence, and a death, and some difficult topics, but it's a film older children could watch. And maybe even some tough younger children. 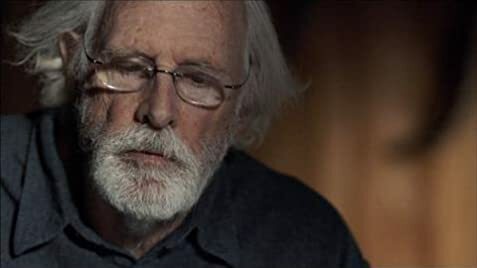 Bruce Dern gives an Oscar-caliber performance, though I imagine this film didn't get noticed and there could just have been too many equally good performances. Genevieve Bujold also does quite a good job. Seamus Davey-Fitzpatrick is good too. Because of the popcornflix.com logo at the beginning and credits that go on for days with the type information movie credits wouldn't normally have, I believe this was an independent film. That usually means quality, and that's certainly true in this case. I've never seen a film with so much participation by colleges. Station Master: There's no drinking in here. I spoke to you about this before, haven't I? Whiskeyjack Kittredge: I don't believe so. Station Master: You behave yourself. I'll put you out of here without a second thought, all right?